Today the church celebrates the Feast of Epiphany. But since we’re Presbyterian flavored Christians, we actually celebrated it yesterday in worship. (Mid-week worship for most Presbyterians I know is limited to Christmas Eve, Ash Wednesday, and maybe Maundy Thursday.) Anyhow, we received our new STARwords in worship yesterday and I’ve been drawing stars for blog and Facebook readers. I didn’t invent this idea, but a friend shared it with me a number of years ago, and the congregation I serve has found it to be a meaningful experience. In our church, people pick a star when they come forward for communion. Some people just take the one on the top of the pile. Others dig down to grab one from the middle. Some look at the word immediately. Others stick it in a pocket without glancing at it. Occasionally, people will trade out their star for a different word. But most people trust the word they receive will have something to offer, even when they don’t like the word (or maybe especially when they don’t like the word!). If you’d like a STARword for the year, to guide your prayers and start a new conversation with the Divine, let me know in the comments and I will draw a word for you. But what I really hope for is that you will share with us how your word works on your life this year. The stories people have shared about their words in the past few years have really inspired me. So, if you have your own blog, and want to write about it there, please put a link in the comments here. 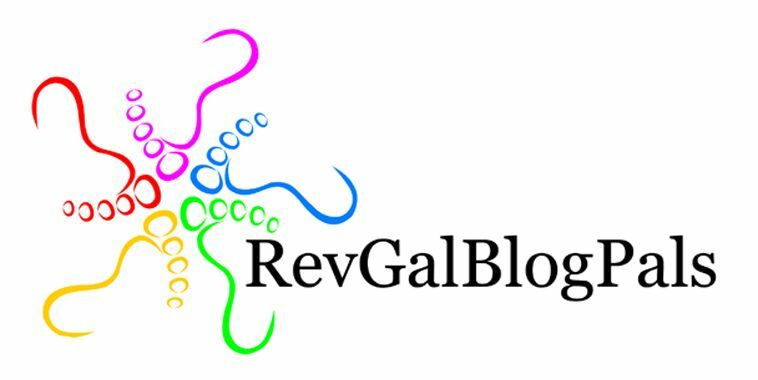 Or if you’d like to “guest blog” on my blog, we can publish your reflections that way. Or you can just leave a comment on this post throughout the year, as you have further epiphanies. If you’d like to read what others have written in the past year, the top of my blog page has a tab called “STARward”, and all reflections are tagged to post there. I look forward to reflecting on my new word and trust that God has something for me in the journey as has happened the last two years with my other words. Can’t wait to hear how your words speak to you this year! God, we acknowledge that we are not always ready to receive your best gifts for us. You have given us an epiphany word in order that we might be MORE. It is often our habit to turn aside, stumble over, or even reject experiences and encounters that we later understand to have been precious gifts. Help us to be open to the gift that you offer us now through our star words. We acknowledge that we do not fully understand what this word might mean for our faith, but we receive it from you with gratitude and pray that your Spirit will enable us to live into our word with intentionality and faithfulness. Yes, pick a word for me please! (I meant to comment on the post yesterday but forgot.) Thanks, Anne’s sister Betsy. Betsy, your word is “fun”. I’ll take that! In a year of college visits and applications and decisions for my only, it’ll be a good reminder. I get that! We’re now waiting to find out where Alden will be next year–and we did have fun on the visiting! Yes please – a word (unless you replied on FB and I missed it. I am sharing with NDPC….I think it would totally rock with our Epiphany service. I missed you on Facebook I think. Your word is “presentation”. I’ll also email you the list of words to use with NDPC. This is a year of big transition for me. I would love it if you would draw a word for me. Kim, your word is “help”. Marci, I’d like a word, please. Shirley, your word is “deliverance”. I’m interested the list of words. Can you direct me to a link, please, or send via e-mail? Love the idea. Marci, I would love a word, please. What a small world! I bet we know all kinds of people in common! I got to see Jennifer a few years ago when we were in Colorado Springs for Thanksgiving! Your word is “welcoming”. Star Word, please? And, Thank you! Brilliant! May I please have a Starword? Love it. This is your word! Hurrah! I would love a star word Marci! Thanks! That is perfect for how I hope to journey in 2014! Great! Look forward to hearing how it speaks to you! Please, another word Marci. Thanks! Marci, I would appreciate a word. Many thanks. Many thanks – I will carry with me in 2014. Marci, I’d love a word, please. Hi Erin! Your word is “approachability”. Peri, your word is “togetherness”. I would love a starword please. Long time my friend. Heard about this on Whitney’s blog. After two very long hospice days…I know I need a word. Thank you. Thought of you the other day when I took the “3 wisemen? Are you serious?” ornament off the Christmas tree! Ha ha ha! One of the best ornaments I’ve ever found! Thanks for the word. I hope you are well! If I’m not too late, I would like a word please. Thank you. I would love it if you’d draw me a word. Thanks and love! I will. You might need to remind me in a few weeks, though! Hi Marci — I’d love it if you’d draw a word for me too! Look forward to seeing you soon! Pam, your word is “discovery”. Reblogged this on A Blankbook with Information. Please draw a word for me–thank you! Thank you–so different from competence and dependability (my words from 2013 and 2014)! My mom has just come to live with us and I told her about this and she would like a word too please. What a wonderful idea. A woman in our church made prayer beads, and this would fit in so well. Please give me a star word for this year. Thank you. Carolyn, your word is “determination”. Marci, I am going to use this with my congregation tomorrow, and even though I will pick a word there, I would like you to give me one as well. Thanks in advance! And blessings on you for sharing this. Katherine, your word is “birthing”. May I have a word as well? Many thanks! Marci, if your offer to draw Star Words is still open, please draw one for me as well. I just heard of star words for the first time today and am trying to jump in and figure out how it might work for me and my congregation. I will. Last year a few people incorporated it into Baptism of the Lord. If you cant make it work tomorrow, maybe you could do that. Barbara, your word is “power”. I would like star word if you please. I would like a star word please. May I have a star word please for me, Sandy, my husband, Doug and my son, Joe. Thanks so very much for the words and the prayers. Sandy, your word is “eagerness”. Doug’s word is “inheritance”. Joe’s word is “mystery”. yes! I need a word, please give me one! so happy MaryBeth linked over here as Friday 5 host. Thanks! Leah, your word is grace. thanks, Marci! Grace sounds love-filled! I’ll include it in today’s Friday 5 and hopefully update you with a few blog posts during 2015. My church is having an Epiphany party this Sunday afternoon. Is it still possible to receive a STARword? Sure. Your word is “justice”. Oh my! I just started reading a book entitled “Victims of Justice Revisited.” A startling sign that this is truly my word. Love it when it happens like this! I would love a word please. I am going to do this in the future. Thanks for motivating my imagination. Kathy, your word is “listen”. If possible, please send me a word for 2019. Last year I had “distinction” – it was a tough year and tough word for me. I have just joined a new church and am looking forward to living out the challenge of a new word. I’d like to introduce this idea/activity next year. Where could I find a list of words? This post has a pdf with the stars. Hazel Davidson, your word is “nurture”.